One team is done, one plays on. The Coupeville High School boys basketball squad reached the end of the road Saturday, falling a game shy of a playoff berth. 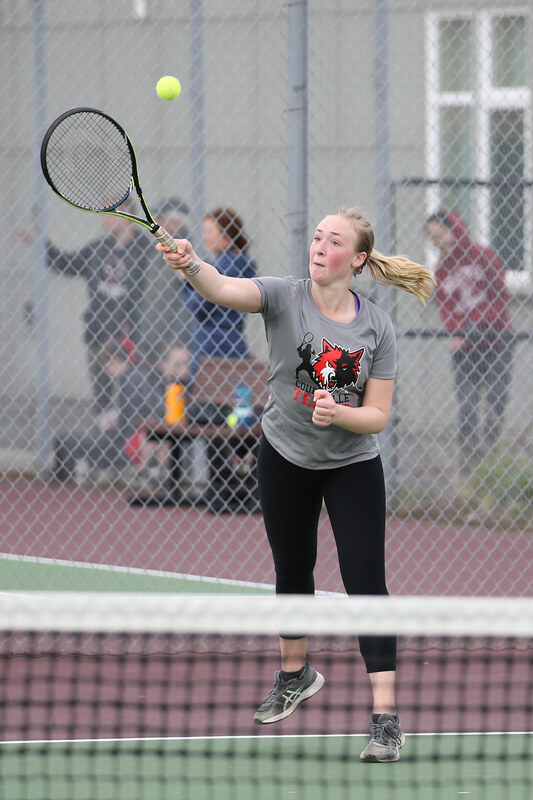 But dreams of postseason glory are still alive for the Wolf girls, who open the double-elimination district tourney Monday at Lynden Christian. As they exit, a look at the final scoring totals for the CHS boys reveals several things. The Wolves got three guys into triple digits this time around, after settling for two last year. But, at the same time, scoring was down, with 158 points from the team’s top scorer being the lowest total by a squad leader since the 2012-2013 season. Closing on a positive note, that leading scorer was freshman Hawthorne Wolfe, who was the highest-scoring 9th grader in 102 years of Coupeville boys basketball. Only four other CHS boys, and five girls, have topped 100 varsity points during their freshmen season, and eight of those nine went on to finish their careers in the top 10 for career scorers. So, based on history, and Wolfe’s own strong work ethic, we can reasonably expect his point totals to trend upwards in the coming years. Over on the girls side of the ball, seniors Lindsey Roberts and Ema Smith continue to chase individual achievement alongside team glory. Roberts passed three former Wolf greats in her last game, and now sits at #20 on the girls career scoring chart, while Smith is just four points from cracking the top 50. Five days from now, everything will be settled. Friday, Feb. 1 is the final night of the regular season for high school basketball, but it might not be the absolute cut-off. 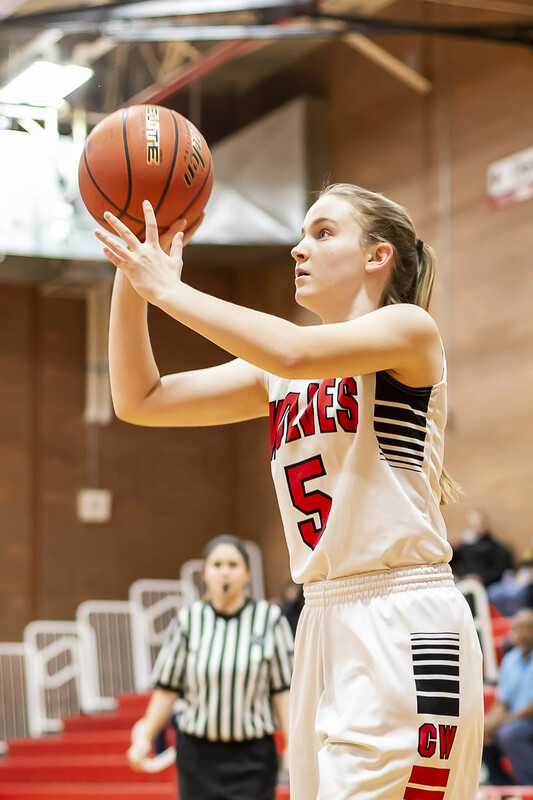 While the Coupeville girls know exactly what their postseason route will be, having clinched the #3 seed from the North Sound Conference, the fate of the Wolf boys is still up in the air. Brad Sherman’s squad holds a one-game lead on Granite Falls in the chase for the #5 playoff spot on the boys side, but the week ahead looms large. The Wolves travel to South Whidbey Tuesday, while Granite hosts Cedar Park Christian the same night. Then comes the regular season finale Friday, with CHS on the bus to visit Granite. A Coupeville win Tuesday would likely clinch a playoff berth, while one Friday will absolutely achieve that goal. However, if Granite wins both games next week, and the Wolves lose both, there’s no postseason bid for Whidbey’s team. And then there’s our final scenario, with a Granite win over Coupeville Friday leaving both schools with the same record in league play, having split the season series. If that happens, the Tigers have to get on the bus and travel to Cow Town Saturday, Feb. 2 for a play-in game for the final postseason slot in the double-elimination district tourney. Tip-off would be 5 PM in the CHS gym. 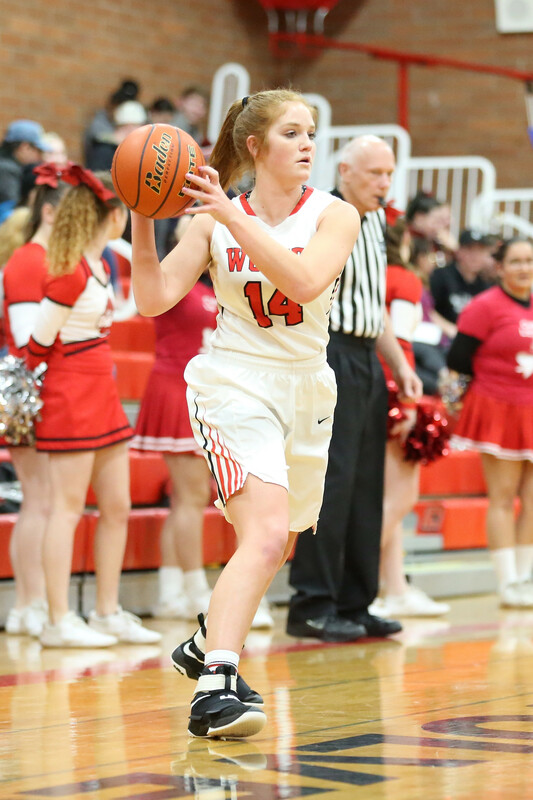 While the Wolf boys sweat out their fate, their female counterparts will host King’s Tuesday, then travel to Granite Friday, all while knowing they open districts Feb. 4 against Meridian. 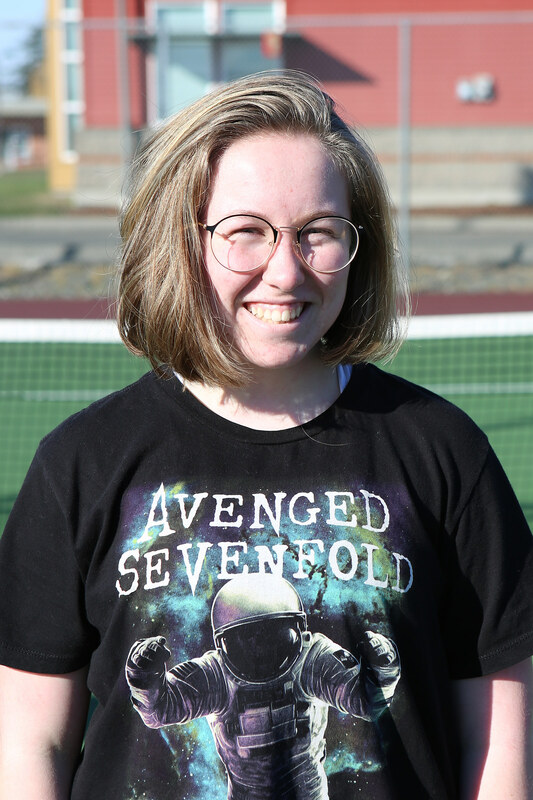 Not that there’s nothing left to play for, as the CHS girls need another victory to clinch a winning record in league play, while seniors Lindsey Roberts and Ema Smith chase individual scoring marks. With 418 career points, Roberts is just eight shy of passing Cassidi Rosenkrance (423), Mika Hosek (424), and Sarah Powell (425) to become the #20 scorer in Wolf girls hoops history. Meanwhile, Smith is a single point shy of becoming the 55th CHS girl to record 200 points, and needs 18 to pass Beth Mouw and Lisa Roehl (216) for 50th place all-time.